The bright red Dorr Motion Holster bag has been designed to look minimalist with very few tags and pulls, so ideal for photographers who want a basic, high quality everyday camera bag. The Motion bag range is extensive with other colours and sizes available.The water repellant nylon material and waterproof main compartment zipper, mean that the equipment stays dry, even in you dont and the rubberized base, is great for protecting the bag if it is put on the damp ground. The dividers inside can be removed completely or arranged to specific photo equipment ensuring that expensive kit is kept secure and protected. 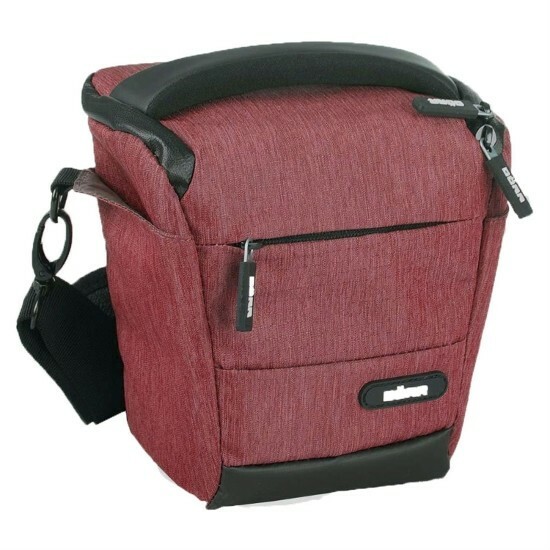 The padded handle is comfortable for carrying, but there is a belt loop on the back for photographers who prefer a hands-free option. The lid has a see through pocket for small accessories and there are a couple of external side pockets in which to keep a cap or battery. 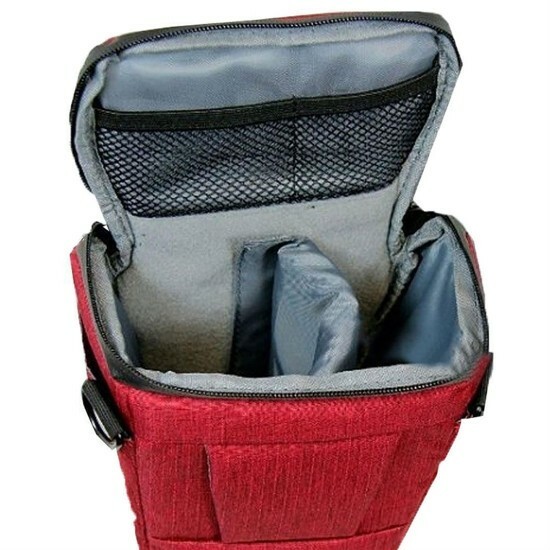 The front zippered pocket is great for cards or a Usb cable and the internal size of the bag is 14 x 14 x 9cm, so great for a small D-SLR with lens or a CSC kit.